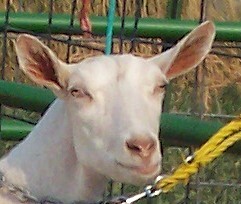 Jenny is everything we hoped to have out of our lovely Sugar Shack. Jenny has the strength and beauty of her dam and the production of her sire. 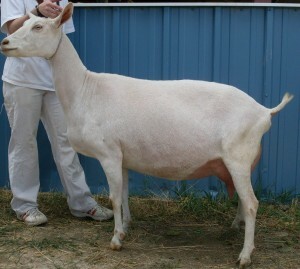 She is an extremely large, capacious doe who has won both best doe in show and best udder in show as a second freshener. 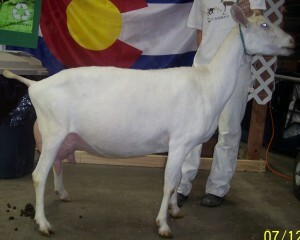 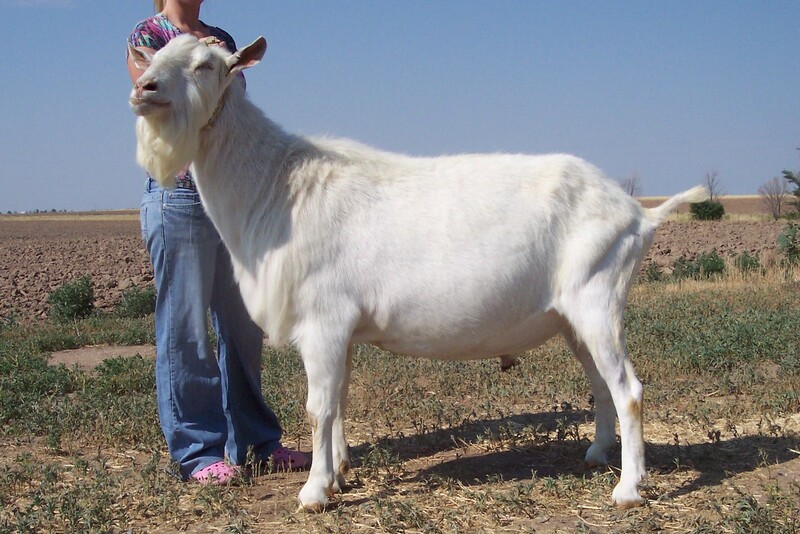 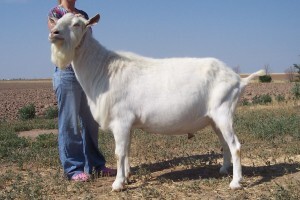 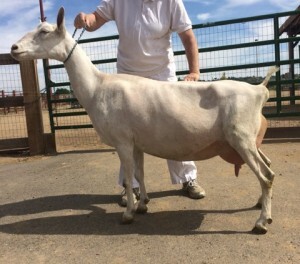 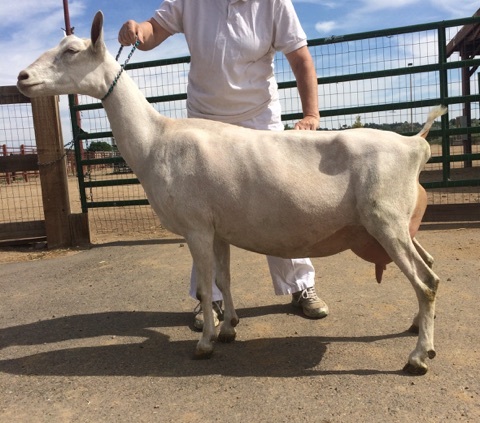 Jenny’s ability to win in the show ring and be productive in the milk parlor make her exactly what a Saanen should be!